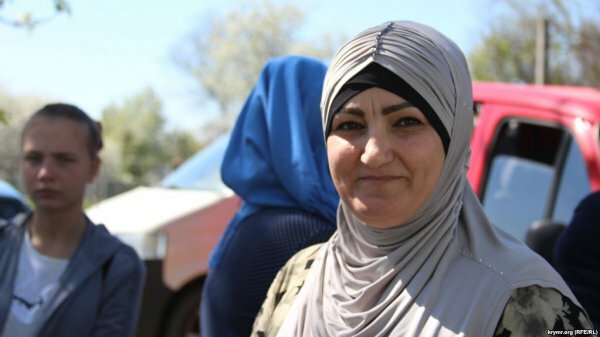 On 4 September 2018, a police search of the family home of Tatar activist Zarema Kulametova resulted in the detention of family members, including her husband and daughter. In addition, Marlen Mustafayev, another Crimean Tatar activist, informed that masked men in military uniforms also searched his house in Kamyanka without providing any explanation. Crimean Solidarity, which has members in Crimea as well as Ukrainian government-controlled territory, says relatives of activist Zarema Kulametova were detained on September 4 when police searched the family's home in the eastern town of Staryy Krym. Kulametova's husband, Zekkiy, and their adult daughter Riana were taken away after they argued with police who were conducting the search, the rights group says. Riana Kulametova told RFE/RL earlier on September 4 that the authorities detained her activist mother in a local park while she was serving a community-work sentence she received in April on a charge of insulting a police officer. Masked men in military uniforms on September 4 also searched the home of another Crimean Tatar activist, Marlen Mustafayev. Mustafayev's relatives say the searches started in his house in the village of Kamyanka early in the morning. They say the authorities provided no explanation for why they were conducting the search. Rights groups and Western governments have denounced what they describe as a campaign of repression by the Russian-installed authorities who are targeting members of the Turkic-speaking Crimean Tatar community and others who have spoken out against Moscow's seizure and illegal annexation of the peninsula.